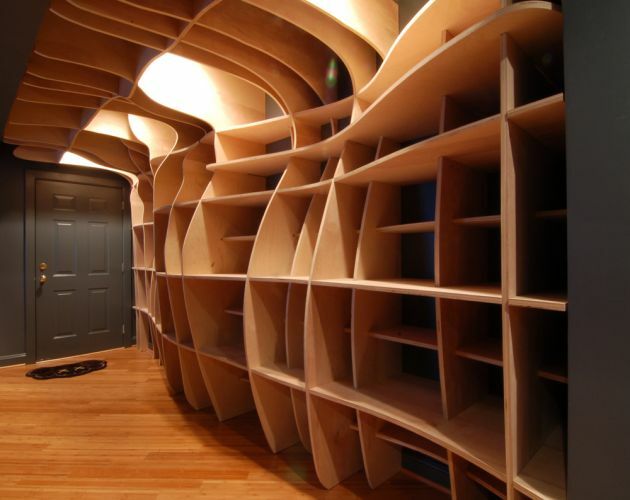 dbd Studio have sent us photos and a video of a recently completed bookshelf they designed for a condo in Washington, DC. The owner had a severe lack of storage for household items, as well as no display options for objects collected from his worldwide travels. 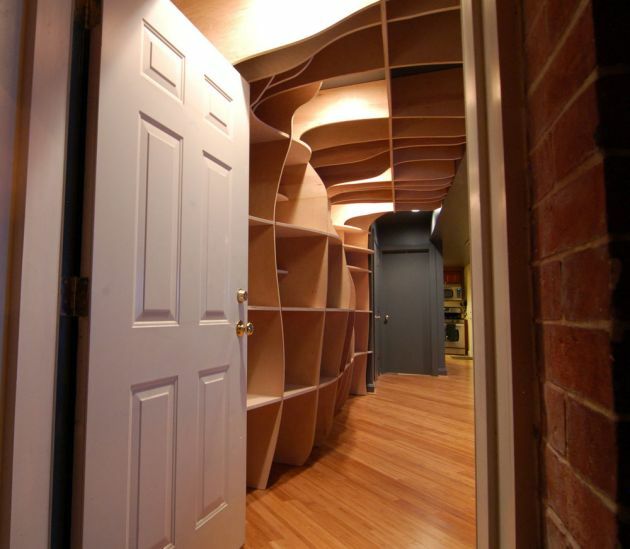 The large bookshelf serves as both an art piece in itself and a functional storage/display system. An organic curving surface was created in Rhino that stretched from floor to ceiling and overhead, terminating at the existing bulkhead. 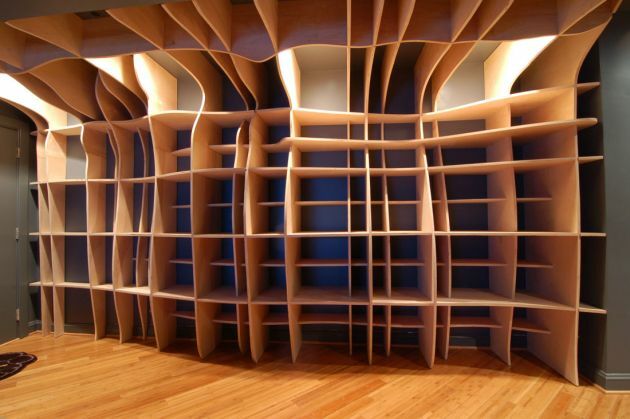 17 sheets of 3/4″ birch plywood were then CNC milled to notch together and form the undulating, gridded mass. See the photos below, and watch a video of them installing the bookshelf – here.